Do More Expensive Wines Taste Better? 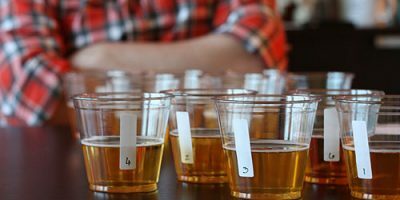 Evidence from a Large Sample of Blind Tastings? (Journal of Wine Economics, Vol. 3, No. 1, Spring 2008). ?Robin Goldstein, Johan Almenberg, Anna Dreber, John W. Emerson, Alexis Herschkowitsch, and Jacob Katz. Abstract: Individuals who are unaware of the price do not derive more enjoyment from more expensive wine. In a sample of more than 6,000 blind tastings, we find that the correlation between price and overall rating is small and negative, suggesting that individuals on average enjoy more expensive wines slightly less. For individuals with wine training, however, we find indications of a non-negative relationship between price and enjoyment. Our results are robust to the inclusion of individual fixed effects, and are not driven by outliers: when omitting the top and bottom deciles of the price distribution, our qualitative results are strengthened, and the statistical significance is improved further. These findings suggest that non-expert wine consumers should not anticipate greater enjoyment of the intrinsic qualities of a wine simply because it is expensive or is appreciated by experts. 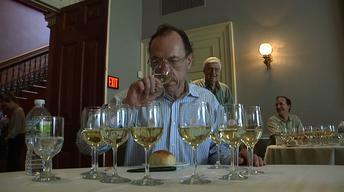 Makes sense to me – expensive wines tend to be more complex, and complexity tends to be an acquired taste. Simpler wines will please more people. Success is counted sweetest by those who ne’er succeed. Blind Taste / Robin Goldstein» Blog Archive » Are empty wine bottles on eBay being used for counterfeiting? Blind Taste / Robin Goldstein» Blog Archive » Do taste and smell adjectives signal value, or do they create it?